No more ugly pet furniture in your home! We’ve already shared some amazing designs and today I’d like to add a couple of new pieces to them. 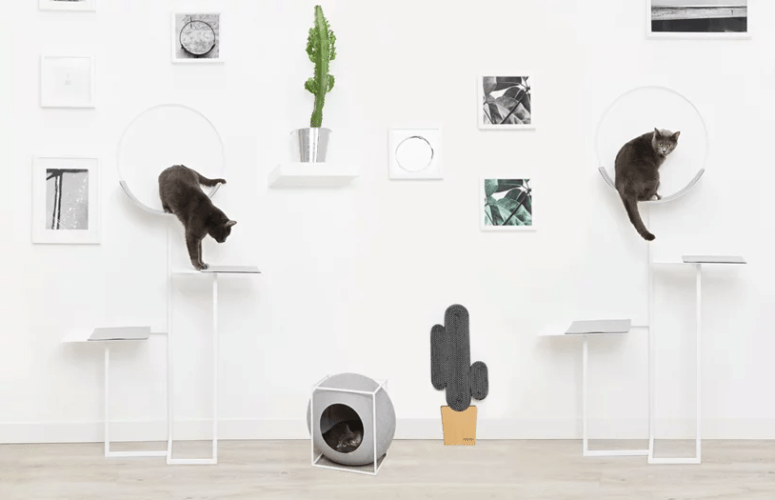 Meyou Paris creates classy furniture for suspiciously self-aware felines: these are a minimal cat habitat (HOOP), and a graphic, cactus-shaped scratcher (VEGAS). 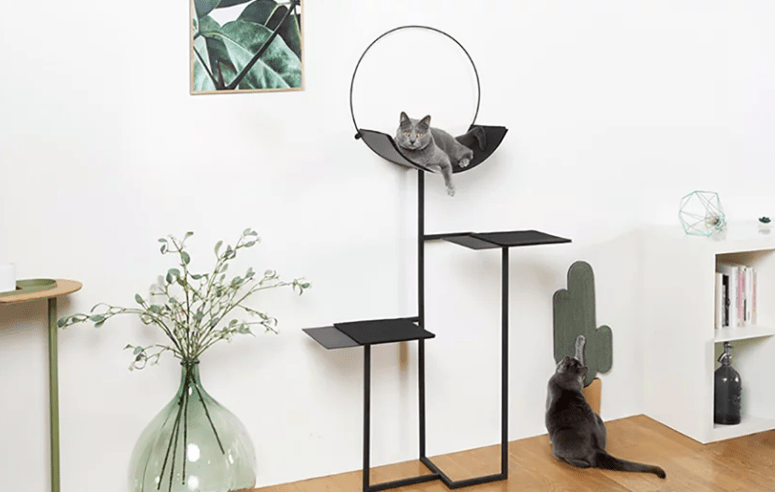 A traditional cat tree is rather an eye sore though it’s a must for every cat owner but you can make it stylish buying VEGAS. 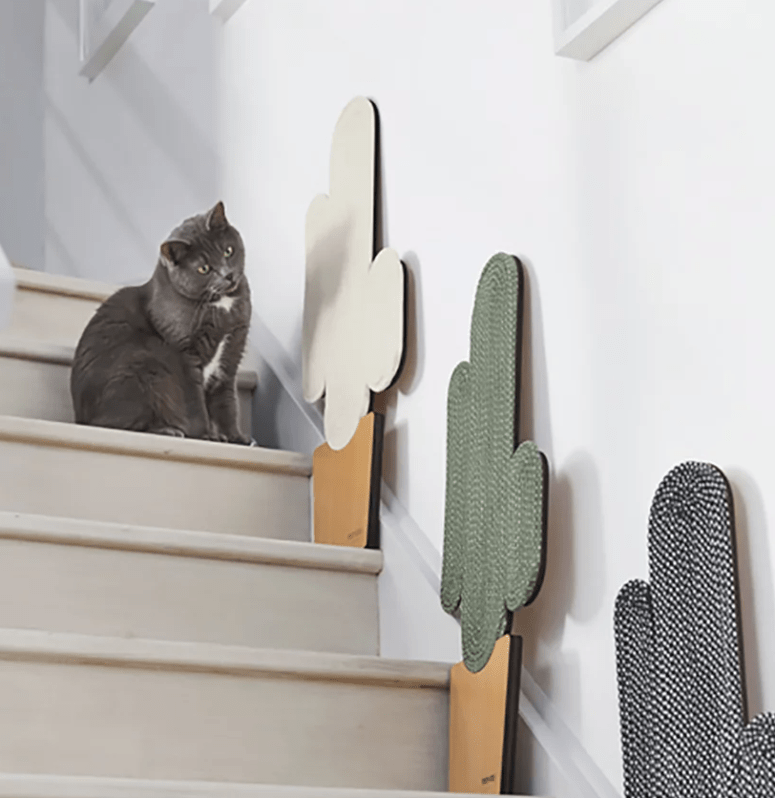 It’s a wall-mounted, emoji-cactus-shaped scratching post. it has a few simple contours and some nice, graphic colors (green, black, or beige). If placed strategically, your cat can have a field-day scratching on them, while adding an amusing sense of humor to your space — as opposed to the usual, cats tearing up your stuff. HOOP allows your cat to taken 3 minimal leaps, climbing its way to the tippy top, where a nice, curved platform awaits. Each layer is covered with a thin cushion secured by velcro. The sleek metal structure fits minimally into spaces. 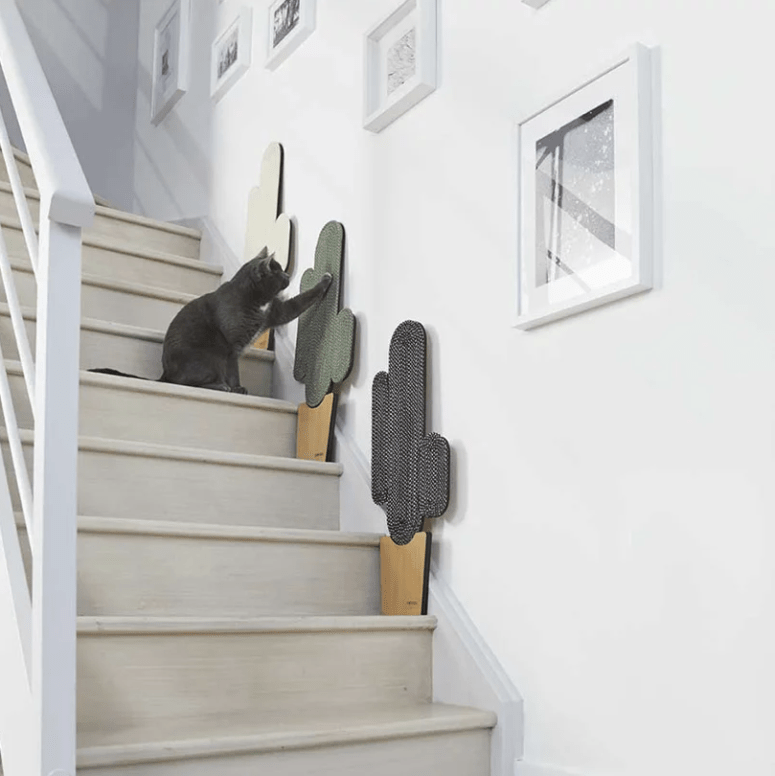 Spoil your kitties with these amazing items and keep your home stylish with them!